Twenty years have passed since the Italian Communists&rsquo; last Congress in 1991, in which the death of their party was decreed. It was a deliberate death, accelerated by the desire for a &ldquo;new beginning.&rdquo; That new beginning never came, and the world lost an invaluable, complex political, organizational and theoretical heritage. In this detailed and probing work, Lucio Magri, one of the towering intellectual figures of the Italian Left, assesses the causes for the demise of what was once one of the most powerful and vibrant communist parties of the West. The PCI marked almost a century of Italian history, from its founding in 1921 to the partisan resistance, the turning point of Salerno in 1944 to the de-Stalinization of 1956, the long &rsquo;68 to the &ldquo;historic compromise,&rdquo; and to the opportunity—missed forever—of democratic transformation. 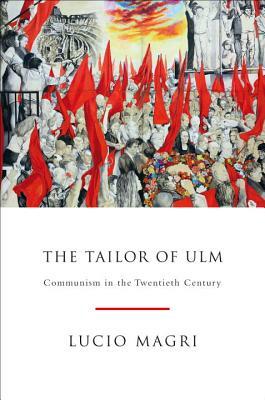 With rigor and passion, The Tailor of Ulm merges an original and enlightening interpretation of Italian communism with the experience of a militant &ldquo;heretic&rdquo; into a riveting read—capable of broadening our insights into contemporary Italy, and the twentieth-century communist experience. Lucio Magri joined the Italian Communist Party in the mid 1950s. In 1969, he was expelled from the PCI along with the group of dissidents who had founded the journal il manifesto. Active in the Independent Left and the peace movement over the next two decades, Magri became one of the leaders of Rifondazione Comunista in 1991 and the editor of la Rivista del manifesto. A translator from Romanian, Spanish, German, French, and Italian, Patrick Camiller has translated many works, including Dumitru Tsepeneag&rsquo;s Vain Art of the Fugue, The Necessary Marriage, and Hotel Europa.